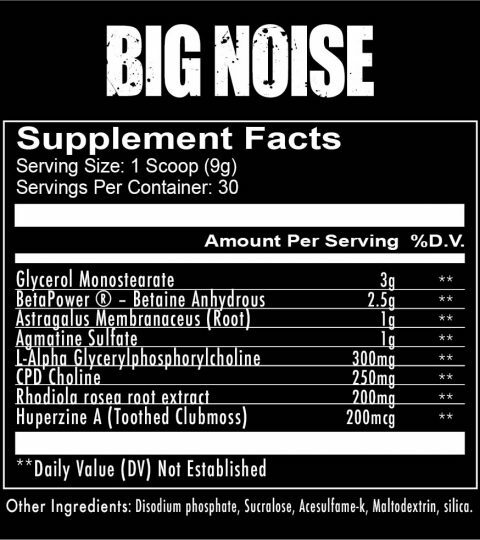 Big Noise is the non-stimulant pre workout vasodilator athletes and bodybuilders have been asking for. 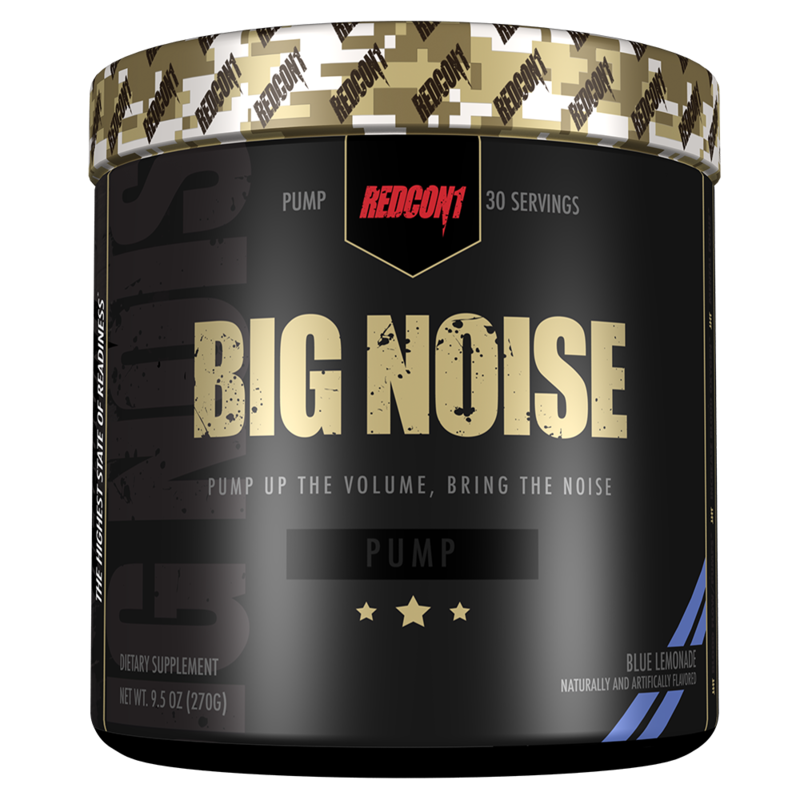 Expand blood vessels, circulate nutrients for faster gains and recovery, and experience garden hose size veins that will last all day long. 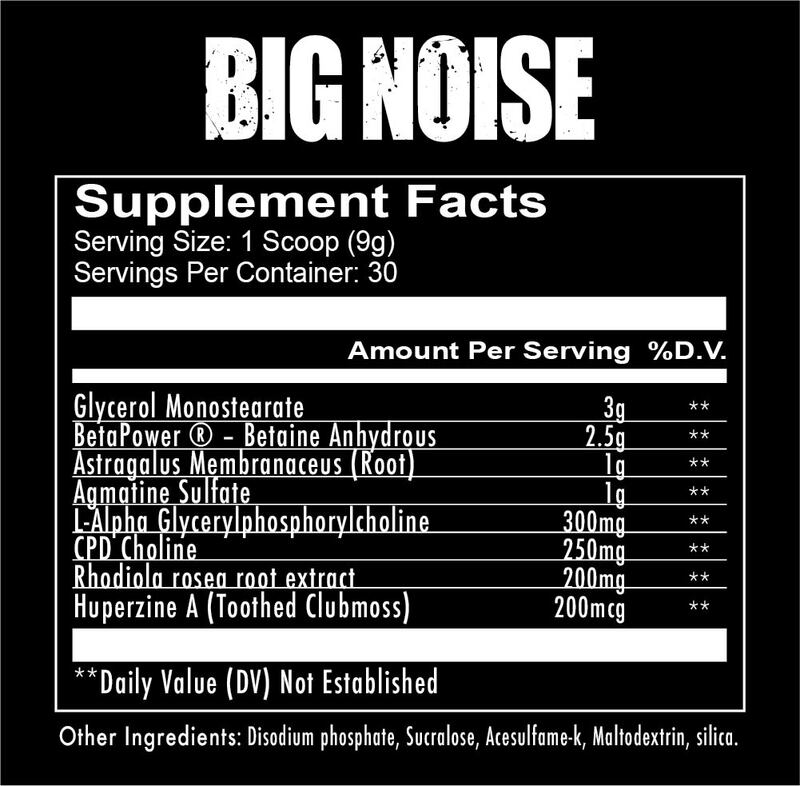 Our favorite part of Big Noise are the added focus ingredients for improved focus and memory. 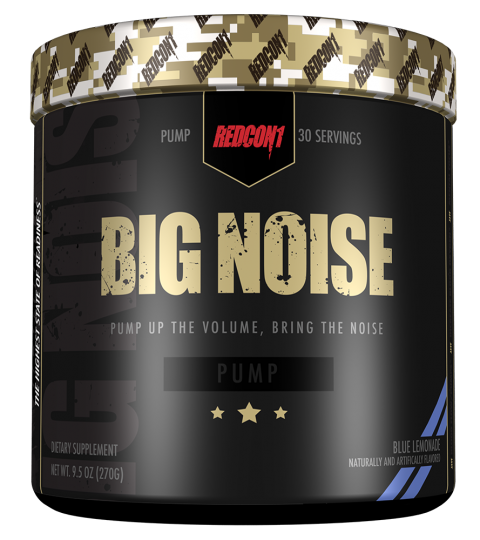 That way you can get the same energy and excitement to train that you’d normally get from Total War, just without the stimulants.